Visit Frederick (The Tourism Council of Frederick County) plays a key role in the $394.8 million (2016) in tourism-related revenues which are generated for businesses and attractions. As a member of Visit Frederick, we&apos;ll give you opportunities for visibility which will have an important financial impact on your given enterprise. Join Visit Frederick today and help us increase local tourism revenues through your success! Visit Frederick (The Tourism Council of Frederick County) is a public-private partnership dedicated to enhancing the economic benefit of tourism for Frederick County's businesses, attractions, local governments, and residents. Membership is open to businesses and individuals interested in promoting tourism in Frederick County. 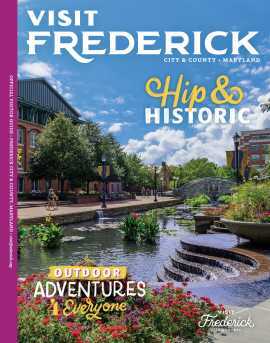 Visit Frederick is part of a cooperative statewide marketing effort that includes the State Office of Tourism Development and Destination Marketing Organizations for each county in Maryland. Visit Frederick carries out key marketing programs for our community, including Destination Marketing, Group Tour Marketing, Visitor Information Centers and more! A recent study (2016) indicates Frederick County received 1.8 million visitors, spending $394.8 million dollars. Visit Frederick membership allows you to actively participate in marketing programs that have true impact on all segments of the local economy. Visit Frederick distributes quality promotional literature worldwide and serves as the primary contact for domestic and international media. As a member of the Tourism Council, your business is exposed to leading travel and feature writers, editors and publishers. Visit Frederick is comprised of more than 200 local businesses. Membership provides a great way to make connections and "build bridges" for any business. The trained staff at the Frederick Visitor Center can provide maps, directions, itinerary suggestions, and answer a variety of questions related to your stay in Frederick County. The Downtown Frederick Gift Card and other merchandise can also be purchased at the Visitor Center.